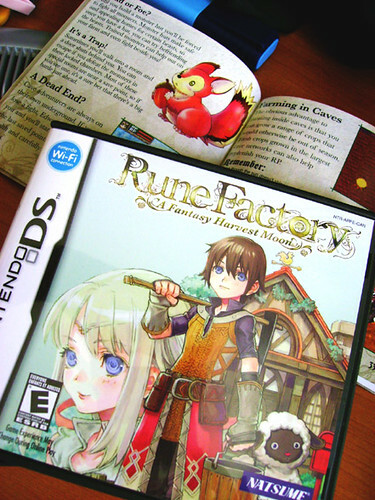 Rune Factory, originally uploaded by beliael. I bought this game off ebay from Hong Kong. It was shipped yesterday. On the ebay item description it said it was english. So I really hope it is. It worked out to cost $AU30. Which is heaps cheaper than any decent Nintendo DS game in Australia. So I won't be too upset if it's in Chinese. I will just leave really negative feedback, and abuse the person who sold it to me. I downloaded a song from iTunes today. It's the first one. I downloaded "Hearts A Mess" by Gotye. It's not the sort of music I usually listen too. But when I first saw the music video on TV, I liked it, but didn't know what it was, and who by. But Gotye performed it at the Australia Day Concert that was on TV. And he's slighty cute =D in a geeky sorta way... but hey! I LOVE THE GEEKS!! !